Note: I don’t always agree with Richard North’s analysis. In particular, I have much more respect for Nigel Farage than he has. However, his insistence that we should pay attention to the turnout in elections is one of the keys to understanding the current state of British politics. The electoral system is already biassed in favour of the Regime parties, so that an indifferent minority of the votes cast can produce a big majority of seats. Take this one step further – looking at percentage of the registered vote, rather than of the actual vote – and we see the beginnings of a crisis of legitimacy. 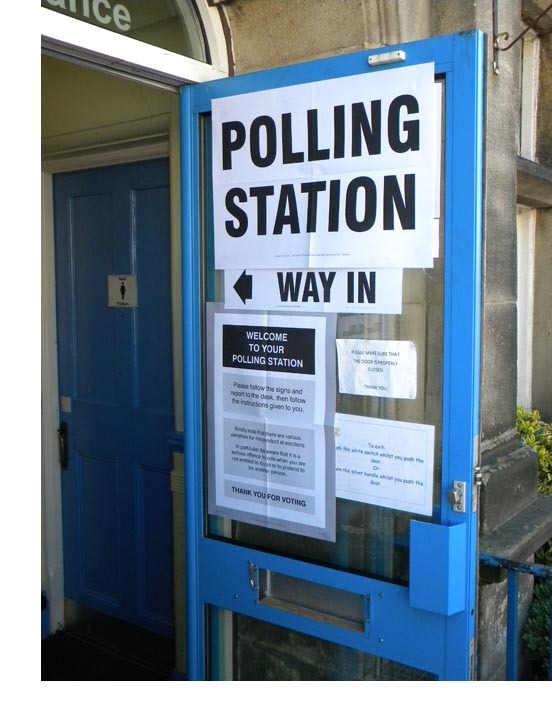 UK politics: barely a ripple in the pond If ever there was a justification for central government intervention, it would be over the scope and presentation of local election results on official local authority websites. Rarely does one find any detail of size of electorate and the number of votes cast, information necessary to calculate the all-important turnout. Some counties give information by ward, in varying levels of detail, but it is incredibility difficult to find one site for the raw data that one needs for analytical purposes, from which to draw conclusions as to the state of play. Local newspapers are of some value though, when following through individual counties. For instance, Derbyshire County Council information is here which, with the official site (plus here) and Wikipedia, gives one the basics. >From these, we can calculate the votes cast, which stand at approximately 203,112, from an electorate 581,982 – yielding a turnout of 34.9 percent. This compares, incidentally, with a turnout in 2009 of 38 percent, when the Tories won overall control, and in 2005 of 63 percent – which coincided with a general election. In this current election, Labour has regained control, taking 43 seats, with a a 42.8 percent share of the vote, against the Conservatives who took 18 seats (losing 13) with 28.8 percent of the vote. UKIP gained 18.7 percent of the vote and took no seat, alongside the Lib-Dems who also failed to score, with 7.6 percent of the vote. Looking at the all-important “mandates”, we thus see that Labour walks away with 15 percent, the Conservatives with ten and UKIP with 6.5 percent. In terms of its electoral reach, therefore, UKIP managed to induce less than seven percent of the electorate to vote for it, while the ruling party command the council with the just slightly more than double that. Derbyshire is interesting because it is one of the councils that have actually changed hands, but it can hardly be said that the result is “groundbreaking” for UKIP – at several levels. It has not only failed to induce more than one in fifteen to vote for it, its effect on the contest has not managed to enliven the electoral process, pushing up the turnout. Looking at another county council, this time Essex, we see UKIP gaining nine seats, with a 26.1 percent share of the vote. With a turnout of 27.6 percent (328, 435 votes cast from an electorate of 1,081,428), this gives the party a 7.2 percent proportion of the electorate that voted for it. Interestingly, 6.5 percent in Derbyshire gets no seats, yet 7.2 percent in Essex gives UKIP nine. However, the Conservatives in Essex, with only 9.4 percent of the electorate behind it, get 42 seats. And, to compound the anomalies, Labour, with 4.6 percent of the electorate, also get nine seats, as to the Lib-Dems with the support of a mere three percent of the electorate. For another home counties authority, Buckinghamshire, I am unable to find details of the size of the electorate (as a single figure), but from the official website, we see that the winning Conservatives get 41 percent of the vote, on a turnout of 30.3 percent. That gives them a mandate of 12.4 percent – the support of just one in eight of the electors. For UKIP, we see a gain of six seats, from 27 percent of the vote. On the turnout of 30.3 percent, it thus succeeds in attracting a “mandate” of 8.2 percent. Only one in twelve of the electorate were sufficiently enthused by this protest party to go out and vote for it. Going southwest to Hampshire, we see there a turnout of 31 percent, with the Conservatives leading on 37.5 percent of the vote, which brings them 45 seats for a mandate of 11.6 percent of the electorate. The Lib-Dems, who come second, gain 17 seats with 21.7 percent of the vote, giving them a mandate from 7.2 percent of the electorate. UKIP draw down ten seats with a 24.6 percent of the vote, giving them a mandate of 7.6 percent of the electorate. Labour manage four seats on a mandate of 3.1 percent. In the supposedly strongly contested Lincolnshire County Council election, however, turnout plunges to 29.7 percent, the votes cast recorded at 161,315 from a possible 542,759. This is seven percent down on the figure when voters last went to the polls in 2009 although, in some of the areas in the current poll, the turnout was as low as 14 percent. Out of 77 seats in the county, the Conservatives lose 25, losing control of the council in the process, ending up with 36 seats from a 36 percent of the vote. That gives them a mandate from a mere 10.7 percent of the electorate. UKIP, which comes second with 16 seats from 24.3 percent of the vote – the support of a mere 7.2 percent of the electorate, the same as in Hampshire. This is the country plagued with migrant workers from EU countries, where immigration is a real issue. Yet, when three members of the Ransome family were elected for UKIP, one explained their success as resulting from their policy on potholes. The BBC wryly remarked that none of their vox pops had mentioned road conditions. But for now, UKIP is the pothole party. Potholes or not, UKIP has not made a breakthrough – despite the media hype. It has undoubtedly done well, gaining 139 councillors, but it is falling short on two counts. Firstly, with turnouts remaining stubbornly low and in some cases falling still further from the last election, UKIP has failed to enliven the political process and bring new voters into the fray. Secondly, with their support from the electorate ranging from 6.5 percent to a level mostly short of eight percent, attempts to create a popular movement have not succeeded. Despite the hype, the Farage party is simply benefiting from a marginal redistribution of votes in a shrinking pool, as voters continue to retreat from the political process. Elections have become a spectator sport over which the denizens of the bubble obsess, leaving the bulk of the population indifferent and uninvolved. This is not, then, a “sea change” in British politics. In statistical terms, it is barely a ripple on the surface of the pond. Richard points out several unbelievably outrageous reasons why UKIP only managed to ripple the water rather than dropping a bomb in the pond, yet can hardly wait to pour the pond’s coldest water all over UKIPs success. They did far better than the bookies thought when they laid the odds. And being that the bookies get things right far more often than do HM’s accursed Government, I would suggest that Farage did in fact do rather well. Next time I think he’ll have learned a lesson or two and so do even better. We’ll see. It’s Norfolk where immigration is causing most aggro. It’s bad, but not quite so bad in Lincs. Not too much to learn from weak results there. Bear in mind that Richard North had as major falling out wiuth Nigel some years ago – as have many others. Nigel seems to have a knack for it. I’m not taking sides here – just making the observation. I’ve spoken twice with NF. I was very impressed both times. North makes some interesting points, and much of what he says about UKIP is no doubt true. But this applies with equal force to all the parties. I remember doing a back of an envelope calculation on Blair’s 1997 “landslide” at the time and seem to recall that he commanded the +active+ support of no more than about 22% of the registered vote even then. Assuming that the trend of disengagement from party politics continues, it will be interesting to watch the ruling elite’s reactions. How long will it be before voting is made compulsory – and non voters are accused of sabotaging democracy or worse? Re earlier comment share was about 30%. The 22% was for one of his later outings. Either way it hardly represents a mandate for remaking the state in a new image. I think you can edit comments if you register in some way with this blog. Don’t ask me for details, however. I wouldn’t describe as a ripple in NorfolkUkip blew them out of the water, the blue ocean no longer exists, this was far better than I predicted, some Norflk Tories are still in shock, lets no forget they made gains on the North Norfolk coast, this area has alway’s been traditional Tory Strongholds, but seems not so much these day’s. of course one would not believe just how many didn’t vote yesterday, they have lost interest in the two party same old politics “Ball Game” of no change, of course you can’t make people vote, that would not be democratic. You will never witness another labour landslide, people are sick how their lives have been chaged by laws, the law’s of “Looney Tunes” the labour government allowed the police to convict far two may people, many are angry at the CRB laws, finding themselves denied employment for some past petty crime, these people are a big army, not hundreds but ten’s of millions, they have feet, they can make it to the ballot box, they will not forget blunket in a hurry, this is for sure. labour will never make the comeback it did under blair, the comeback kids are finished, they are no longer a problem or nuisance to the British people. Anyway, with your fany academic theories, you foget one thing, the path to victory is open, look at the marginals, to close for comfort, if farage was to stand MP’s in these areas with the right media campiagn he could win with ease, he only needs 15 MP’s he would have both labour and the Tories by the balls. I think possible Farage upsets other people because he’s had to hold the party together by a certain amount of Fuhrerprinzip. If that guess of mine is correct, I don’t really blame him. Almost all new parties go nowhere; after a brief burst of enthusiasm, the lack of an immediate breakthrough causes frustration, infighting and schisms (see for instance, the “Libertarian Party UK”), especially as most of the people willing to start new parties tend to be oddballs. Unlike many libertarians who prefer a strategy of voting for traitorous scum because they are 1% less traitorous scum than the other traitorous scum and can win this time, I have now voted UKIP several times. UKIP are far from the Libertarian ideal, but they are at least 10% less traitorous scum than all the other traitorous scum and have considerable ideological opposition to the driving ideologies of the other traitorous scum. They have achieved a remarkable achievement to get this far, and there is now a glimmer of hope that they may do to the Tories what Labour did to the Liberals a century ago. No other party has ever achieved this. Other than Labour, I mean. A century ago. Achievement. I’ve forgotten what I was talking about. Oh yes, it was that Farage has done remarkably well. Now he’s probably going to have to manage the difficult task of relaxing the fuhrerprinzip a bit and find other recognisable party figures, so it doesn’t look like a one man party. But if there is any hope of ridding ourselves of the traitorous scum called the Tory Party, UKIP is it. Knocking them for what they’ve achieved so far is not very helpful. I keep meaning to write something on small organisations and the fuhrerprinzip. Briefly, my case is that, since the organisation’s whole success or failure is down to one man, and the two are effectively fused in the public mind, the leader should have the unquestioned right to say and do as he pleases. Last Thursday, I voted for Nigel Farage. Every UKIP elected councillor got in as a Nigel Farage proxy. They should accept that, and wait for his orders in all matters. They are replaceable. He is not. I note a hint of sarcasm in IB’s comments about Yours Truly. Since I’ve never been known to take against someone merely for his having a good laugh at me, he might as well drop the indirect mode of address! Fresh air at last. Honest, clear and clean. Doesn’t it smell fantastic? Firstly, I don’t know where people get the idear Farage is an odd ball, nothing of the sort, far to clever for the tories or the labour lot, he’s well up on the master plan of the EU who will effectively destroy Britian as we once knew it, I don’t know why people associate him with fuhrerprinzip bit, he’s nothing of the sort as far as I can see, and I’m not blind with distorted perceptions, lets face it. the first politician who’s looking out for England and not his bank account, unlike the Tories or Labour, all they will do is faten their accounts and then do a runner when things get bad. Farage is now established, he’s on the political map to stay, UKip have some very sensible and realistic answers to health care, corrupted policing, government policy, they have a full policy document on their website, if you want to vote for odd balls vote labour or conservative, the all talkers parties, all talk and no do. Give the man a chance, he won his medals he deserves it, vote Ukip and buy an ice cream. The fresh air does smell fantastic, and having breathed it I should think it depressing beyond words to go back to the staleness of the old LibLabCon landscape. That is why I pray that UKIP can maintain this momentum and not become what their oponents and the news pundits are constantly trying to make them out to be, which is a transcient midterm recipient of protest votes. We can be reasonably optimistic about next year’s European elections, but 2015 will obviously see many voters returning to the Tories as the lesser of two weevils. The question is how many. I suppose it all depends on how UKIP copes with the extra scrutiny it will receive, and if it can set out believable policies and keep to them. Farage seems safe for now, but I fear that if he were to go, the party could slip into more authoritarian costume fairly quickly. My own view is that persuading people that voting for the lesser weevil is futile is the most important thing. Voting for the winner, if the winner will betray everything you desire, is useless. As to what Farage and UKIP should do stategically now, I don’t really know. But they’ve already done the impossible. Karl, I wasn’t saying that Farage is an oddball, I was saying that in general people who form small political parties tend to be oddballs, in general. Sean, I am not a sarcastic man. I am not, however, above applying a certain amount of peer pressure by shaming tactics. Be my guest. However, there is nearly always, at general elections, just enough real difference between the parties to make voting Tory the lesser of evils. The only exceptions for me were in 2001 and 2005, when it was clear that the Tories couldn’t win, and so it was worth voting for what I believed rather than against what I most hated. I voted for and signed the nomination papers of our UKIP candidate (a) because I know him as a sound sort of chap and (b) because the previous conservative councillor had so obviously resigned her brains to her party. For much the same reasons as Richard North, Farage is a negative factor as far as I’m concerned. He spent the last 10 years surrounding himself with sycophants and making the party into a one man band with all the patronage in his hands. Nonetheless he is an able communicator and deserves credit for that. With regard to the poor electoral statistics from local authorities, could not the Electoral Commission instruct returning officers to adopt a common, informative layout? Perhaps that’s expecting too much. It is a New Labour Quango after all and, come the referendum, it has a statutory DUTY to “educate” people about the institutions of the EU. How it does that is in its own sole discretion. Having read well-substantiated accounts of the lack of impartiality in the Irish electoral authorities, I think ours may well be a sort of player as well as an umpire. I think in reality Britian needs change, we need fresh air in government, fresh air in policy, Farage, has one trump card the others will never posses, concern about his own country and not his bank statements, he holds morality with is of course duly important, you have to face the realistic facts, the british establishment stinks, you can smell the lies and corruption all over the land where ever you take a breath, indeed “Fresh Air, Clean From Corruption” is just what the doctor ordered, a cure for the british people, obviously his motivations are not based on that of the labour or Tory governments, frankly neither are any good FULL STOP. I am a firm believer we will not secure anything from the EU only our own distruction, in reality the ECHR is a systematic failure, no doubt you are aware many millionaires are emerging from the arena of Human Rights, their victims very seldom that lucky. Of course there are arguments farage could be sucked into the establishment role, the same of the rest of them it is possible. but of course just because a thing is possible, it does not indicate it will happen. We must not stereotype all parties or leaders, with the Milliband, Cleg, Cameron hat. these three stooges should not be taken as an example of what all future political parties will be like in Britain, it is wrong to vision this, because history our reliable guide, guarantees this will not be the case, If the people are ever to have any chance of breaking the chains of the oppressive establishment statisim, or nay real freedom of choice in life, the past political moulds must be broken beyond repair. Farage offers something new, an escape from the bloodsuckers of the EU, if a dash to freedom is on offer, the British people would be foolish not to take it, if it fails, they have lost nothing, for things will just return to what they were before, the poor of Britian, labour or the conservatives only offer you a living hell, labour will expliot your very existance, the tories will try and starve you to death, I speak to help with your own preservation, what do you have to lose voting for them, Nothing, because there is no party at westminister who will offer you hope, or even one single breadcrumb from the table in the way of justice, under them you are like cattle, you make them money and nothing more, the EU perceives you in the same light, try the fresh air, I’m sure it will do you the world of good, take a chance before it’s to late. This is the only opportunity you will ever get in your life time to try real political change.